Tired of brewing? Neither are we! But for those looking to branch out from crafting beer, distilling may be just the thing. MoreBeer! 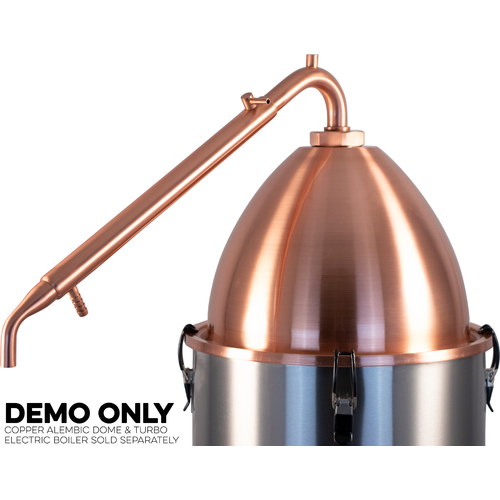 is proud to introduce our new line of distilling equipment. Go on, give it a shot! 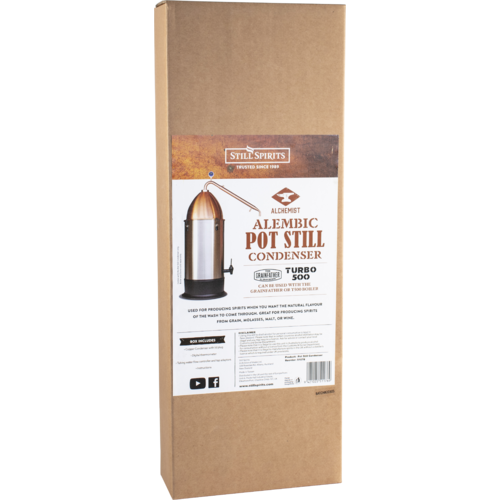 The Pot Still Alembic Condenser is best used with the T500 Boiler (BE449) and the Pot Still Alembic Dome Top (DS211). 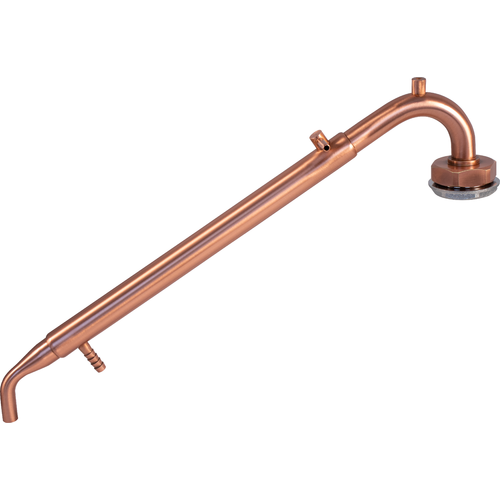 You can use this with the T500 Boiler without the Pot Still Alembic Dome Top by fitting it onto the lid of the T500 Boiler. This condenser is what differentiates this still from the T500. It is what retains the flavor rather than stripping it out by refluxing. Thermometer, tubing and tap adapter set included. how powerful of a pump would I need to recirculate water (and not waste it)? BEST ANSWER: Hi Jon - i've attached an item that will work well with your application.